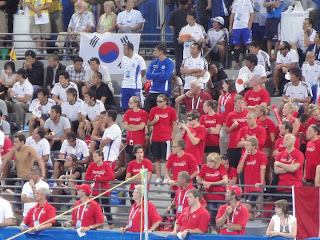 Irvine, California- Eleven Canadian Swimmers have advanced to the championship finals today at the 2010 Pan Pacific Championships in Irvine California. Victoria's Ryan Cochrane secured a spot in the Men's 400 freestyle event A final, swimming a solid 3:49.69 in the morning qualifying round. 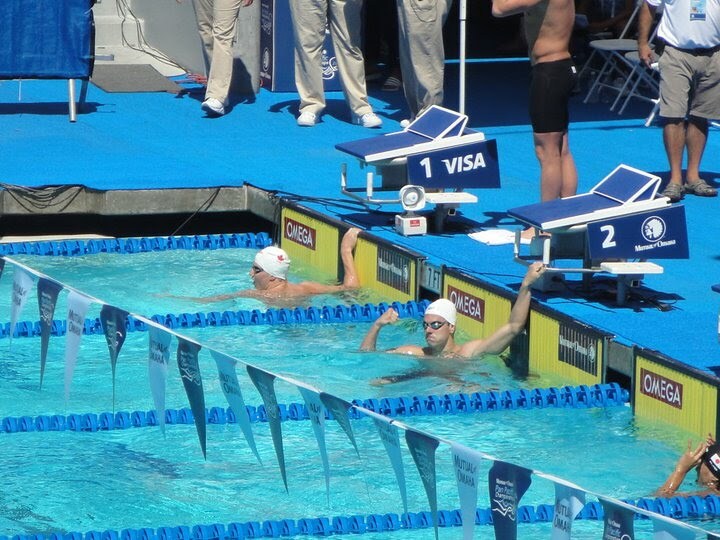 "I think this morning's swim was all about making a final," said the Pan Pacific Champion, Ryan Cochrane. "It was my only morning swim and I would of liked to get closer to my best time, but a lane in the finals is all I needed." 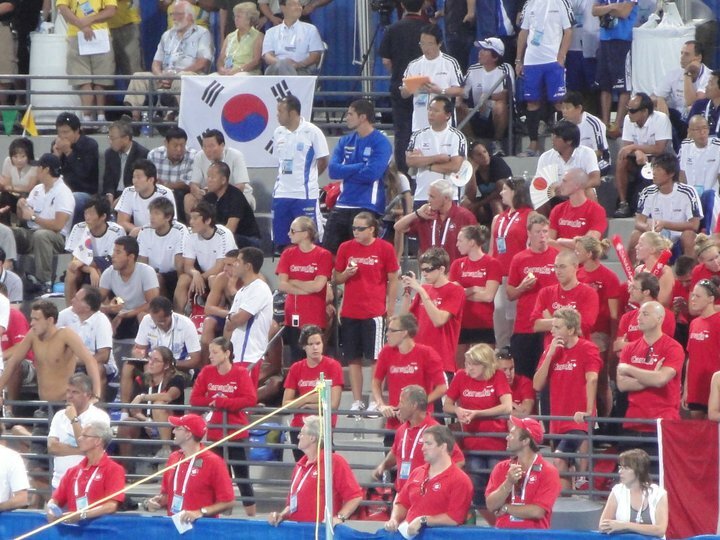 Cochrane, who made history for Canada on the first night of competition winning a gold in the 1500 meter freestyle. It had been over ninety years since a Canadian swimmer had won a medal in that event at a major international competition, dating back o George Hodgson, Canada's first ever-Olympic medalist. "It was great to get a day off after the 1500 free simply to get both a mental and physical break and get the energy level back up to swim fast in the morning," added Cochrane. Alexa Komarnycky of Victoria and Barbra Jardin of Montreal will tae part in the Women's 400 freestyle championships final tonight. Komarnycky had the fastest qualifying time for Canada while Jardin shaved off two and a half seconds off her personal best this year, after a bronze medal performance last night in the women's 4x200 relay. The women's 100 meter butterfly saw Katherine Savard and Audry Locroix, both from Point-Rouge, QC, advancing in the championships final. Savard, a first timer on the senior national team, clocked a 58.84, almost a second off her personal best. "I'm really proud of my race this morning," said 16-year-old Savard. "I put a lot of effort in improving my start and turn over the past few days at it really paid off." Rookie Genevieve Cantin of Saguenay, QC will dive into her first international final, swimming her specialty event, the 200-meter backstroke. Cantin finished with a 2:10.84 this morning lowering her personal best mark by close to a second. Tobias Oriwol of Toronto and Charles Francis of Montreal will both advance to the A final of the men's 200 meter backstroke. Chelsey Salli of Langley and Ashley McGregor of Pointe Claire, as well as Scott Dickens of Vancouver will race the 50-meter breaststroke A final. Consolation finalists for Canada are Samantha Cheverton of Point Claire in the 400 freestyle, Hassaan Abdel-Khalik of Mississauga in the 400 freestyle, Mackenzie Downing of Whitehorse in the 100 butterfly, Joe Bartoch of London in the 100 butterfly, Lauren Lavigna of Vancouver and Dominique Bouchard in the 200 backstroke, Matthew Swanston of Newmarket in the 200 backstroke, Tianna Rissling and Warren Banres in the 50 breaststroke. GO CANADA GO - its been an amazing week! Day 3 of competition at the Mutual of Omaha Pan Pacific Championships in Irvine, California for Warren Barnes and the rest of Team Canada. 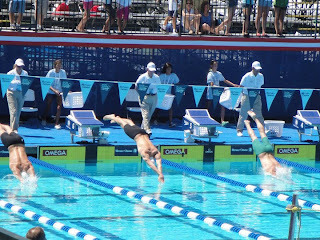 Warren will be competing in the Men's 50 Breaststroke this mornings prelims & evening competition. 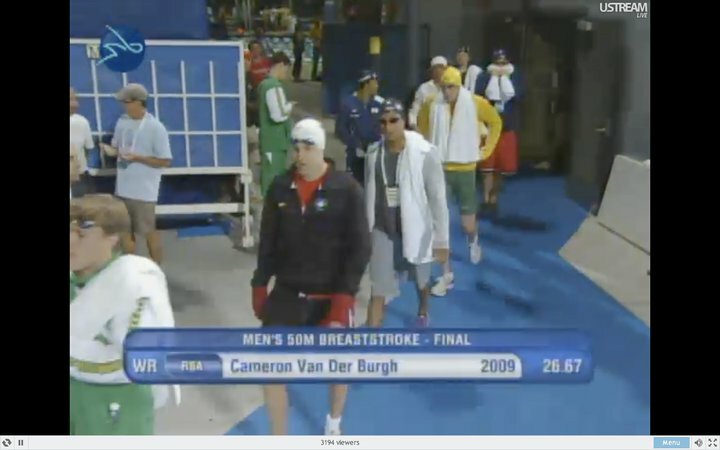 His final event will be tomorrow in the Men's 200 Breaststroke. Evening Coverage: Live Feed for the evening coverage continues tonight as Warren will be in the B-Final of the Men's 50 Breaststroke. 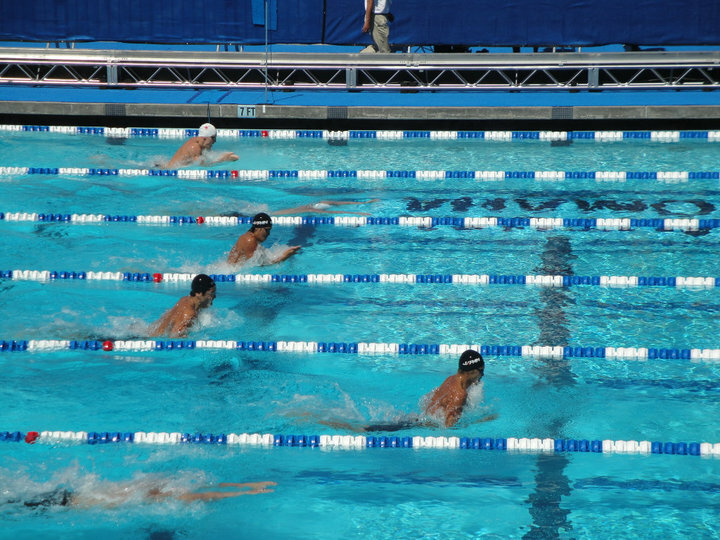 Competition begins at 9:00pm EST at www.swimnetwork.com and for even more coverage visit the USA Swimming website for more details regarding the competition. 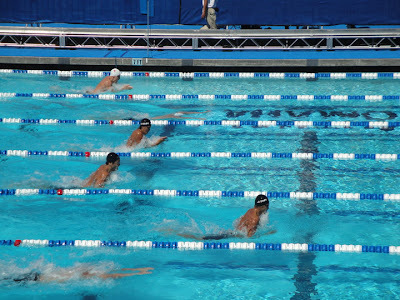 For all the pictures of Warren in the Men's 50 Breaststroke click at the bottom of this post to "Read More"
B-Finals: 28.33 - 13th - Congrats Warren! 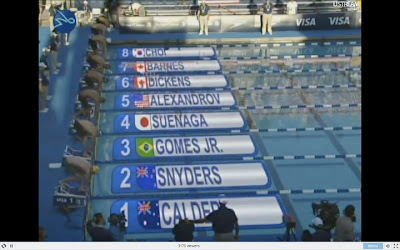 A very special THANK YOU to my friend Carly for these screenshots of the Men's 100 Breaststroke from the B-Final at the Pan Pacific Championships in Irvine, California. There are even more images below so click on the "Read more" for the rest! 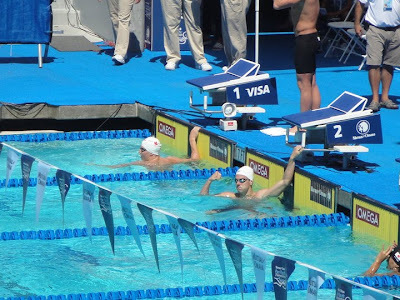 A very special THANK YOU to my good friend Cindy for these amazing pictures from Pan Pacs - there are even more images are available below from the B-Final of the Men's 100 Breaststroke and there will be more to come - GO CANADA! 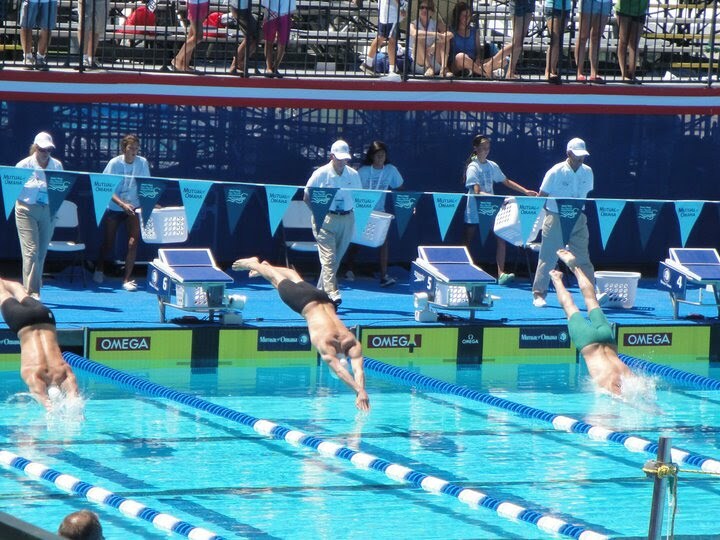 The Pan Pacific Championships are underway in Irvine, California. Team Canada had an amazing performance last night in the Men's 1500m Freestyle with Ryan Cochrane winning GOLD for CANADA! We are all very proud! Team Canada is also sporting the Canadian Winter Olympic Mittens at the meet, so look for them during Finals! CHEER WARREN & THE REST OF TEAM CANADA ON TONIGHT!!! All results can be followed on the Live Feed (through Swim Network) listed below. Television broadcasts will be occurring on Universal Sports and NBC this weekend so check your local listings. This is a very exciting time for Warren and the rest of TEAM CANADA- We LOVE YOU!